Greece will introduce capital controls and keep its banks closed tomorrow after international creditors refused to extend the country’s bailout and savers queued to withdraw cash, taking Athens’ standoff to a dangerous new level. The Athens stock exchange will also be closed as the government tries to manage the financial fallout of the disagreement with the European Union and the International Monetary Fund. The ECB won’t give any further liquidity (it stays at current levels). Greek people have already withdrawn 1.3 billion euros just over the weekend and only 40% of ATMs had any money in them before this call. Also read: One third of Greek ATMs Emptied as Greece Goes Political: Greece has a referendum next Sunday on whether they should accept the bailout or not. They might. And then, they might not. When Rajan’s cut interest rates earlier this month, markets have gone the exact opposite way. Markets don’t behave like they should, but you can assume that old adage will come true: Prices will fluctuate. In fact, on Friday, before Indian markets closed the news was that the ECB would bailout Greece. It was only on Friday night that the drama exploded with Greece rejecting the bailout, and by that time Indian markets had no time to react. India has no direct impact of any magnitude. However given that all the banks are somehow linked, it will be interesting to hear of who gets hurt at a secondary level. 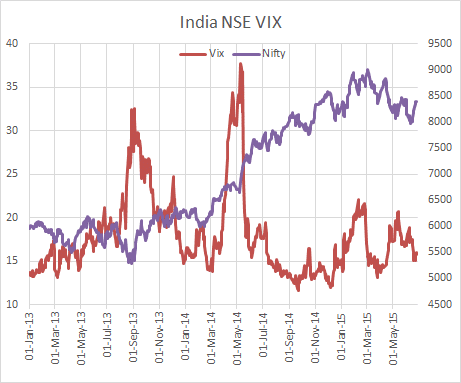 But there will be the impact of funds taking their money out to “safety”, and therefore exiting equity markets in India. And in anticipation there will be many local players who will want to get out first. Our suggestion: Don’t panic. Let the drama be over, and have well defined stop losses for your positions. It never hurts to play to the plan.